4702 Grimshire Road, New Palestine, IN.| MLS# 21596945 | INDIANAPOLIS DISCOUNT REAL ESTATE BROKAGE ,ASSIST-2-SELL, BUYERS & SELLERS ADVANTAGE. FLAT FEE COMMISION. New construction by Westport Homes. Welcome to the Newport in Stone Crossing. 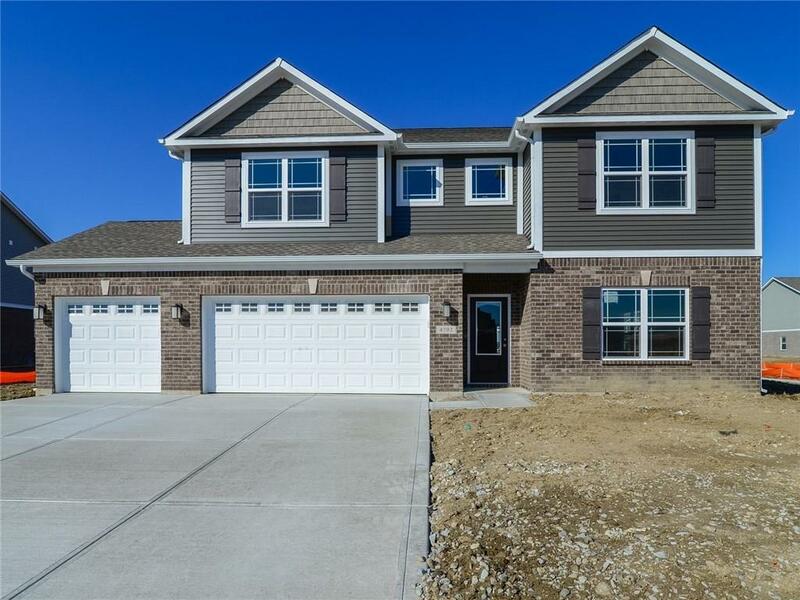 If you are looking for lots of space and 4 bedrooms, you need to see this one! First floor has a large great room with gas fireplace, formal living room, dining room, sun room and fabulous kitchen. Entertain friends and family in your kitchen with quartz counters, center island, stainless appliances with gas range and pantry for storage. Upstairs you will find 4 bedrooms and a huge loft area for games or just hanging out. Master features gorgeous tiled shower, double sinks, private commode area and large walk in closet. Community is convenient to all New Palestine has to offer including shopping, dining, parks and much more! Community also features a playground.